San Mateo police responded to an alleged home invasion robbery Monday night only to find themselves in the midst of a misunderstanding between roommates. 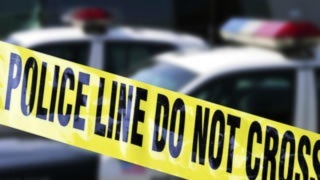 According to a department statement, officers, having received a report of a possible residential burglary or home invasion robbery, arrived near Thomas Court and N. Idado Street "using emergency lights and sirens." The caller was afraid and hiding inside the house, police said. Responding to what appeared to be an "imminent threat" to the residence’s occupants, multiple police units surrounded the area and established a secure perimeter. However, investigators quickly learned that the caller’s roommate had come home and broken a window by mistake. Thinking that the house was being burglarized, the caller dialed 911, police said. The San Mateo Police Department, deeming the incident an "unfortunate miscommunication between roommates," expressed relief that no crime had been committed or injuries caused.